Photographer Tod Seelie captures the life of artists as they travel across waterways, floating on their own uniquely designed rafts. Organized by street artist Caledonia "Callie" Curry, best known as Swoon, the project embarked on its first expedition last year. 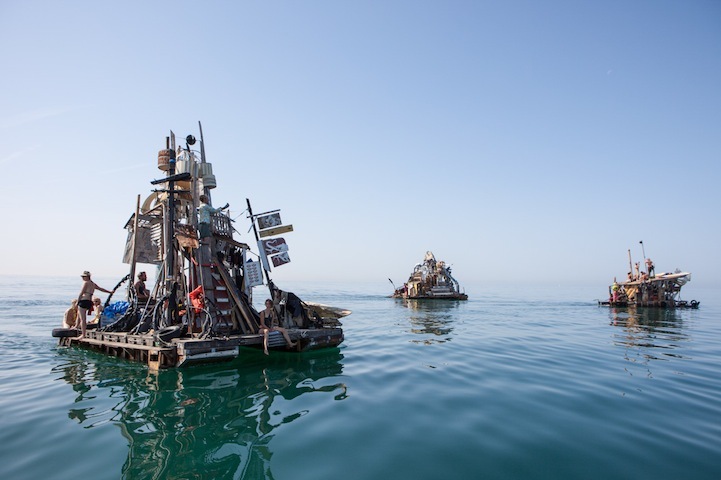 Each flotilla, crafted out of recycled and found materials, boasts its own vibrant, free-spirited personality. Like a traveling circus of Peter Pan and the Lost Boys (and Girls), the artists board their handcrafted ships and set off on an adventure.